The Relay URL is the direct link to the stream you wish to rebroadcast. You cannot use links to Tunein.com, web pages, or web players. 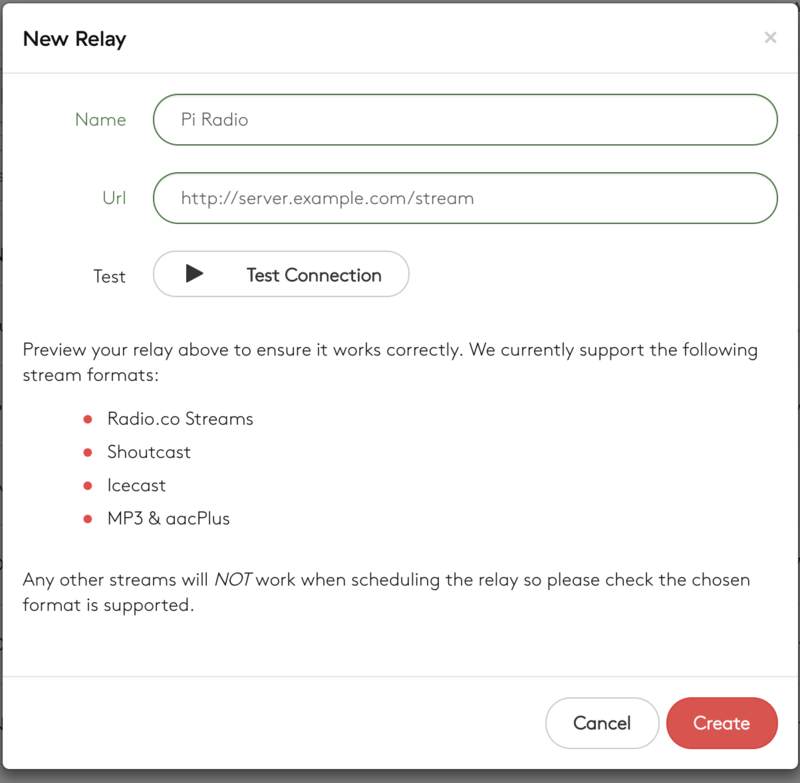 You can obtain the Relay URL from a representative of the station you wish to rebroadcast. Note: If you have not used Relays we strongly recommend you reload your station by clicking the 'On Air' button in the sidebar. Note: Only MP3 or AAC streams are supported. Go to Media > Relays. Click Add Relay. A popup will appear. Add the name of your Relay. This is used to identify it in your schedule options later. Add the relay Stream URL. We support most SHOUTcast, Icecast, and Radio.co streams. Examples are posted below. You can test the stream URL by clicking the Test Connection button. This process is similar to adding a live DJ event to your station. Go to Schedule in the Radio.co Dashboard Sidebar. Click the calendar at the point where you wish to add the event. 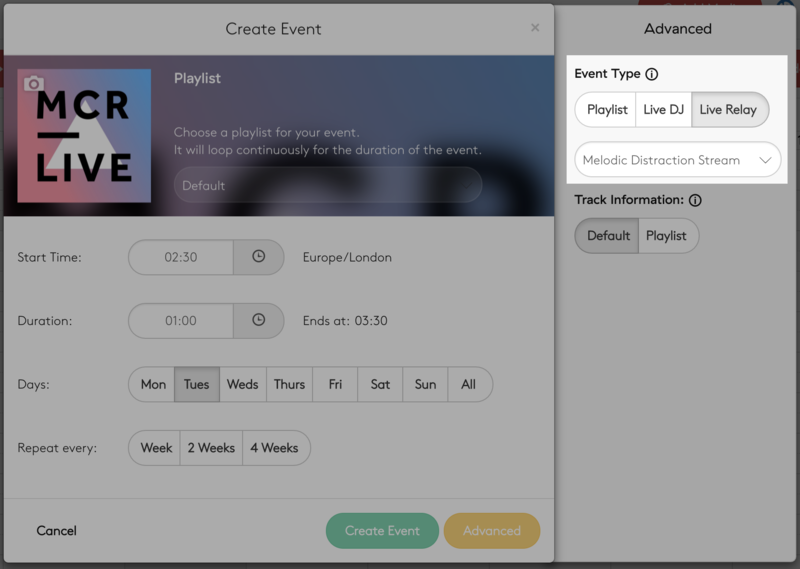 On the pop-up window and ensure the Start and End times are set correctly, then choose a Playlist. Set the type to Relay Stream. From the drop-down menu choose the relay you wish to schedule. If you wish to create a repeating event, set the relevant days at the bottom of the window. If the Relay URL includes track information, this will also be relayed through your station. If there is no metadata available the previous information will remain.